The Association of Biblical Counselors is committed to equipping the saints for the work of the ministry, both in preaching and counseling God’s Word. In a previous post, we discussed how faithful ministry of God’s Word in the church includes both preaching the Word and counseling the Word. Whereas preaching the Word lays the broad framework and several essential points of application, counseling the Word acts as a complimentary ministry in applying the details and nuances of God’s Word to particular areas of struggle in an individual’s life. Faithful ministry of God’s Word in the church includes both preaching the Word and counseling the Word. Both are incredibly vital to the overall health of the church and serve as the complimentary means to making disciples of all nations. Preaching and counseling God’s Word acts as complimentary ministries and may be captured by the five distinctions below. Counseling is the personal ministry of the Word, whereas preaching is the public ministry of the Word. While a biblical view of a particular issue could be discussed in public, specific and personal issues would be better addressed in private. This is one particular way counseling and preaching compliment one another. Counseling represents a ministry of the Word that can deal sensitively in the specific, personal, and often messy content of human lives. Counseling is ministry from the pew, whereas preaching is ministry from the pulpit. Counseling represents a ministry of the Word that is open to all maturing believers. All believers will counsel the Word in unique ways, loving one another through the administration of unique gifts. It is primarily a ministry from the pew, not the pulpit. An older couple in the body of Christ, for example, who’s wise in the Scriptures, tender with people and equipped to counsel the Word over time, may be a good fit to counsel specific individuals in need. Counseling is delivered one to few, whereas preaching is delivered one to many. Receiving counsel transpires on a smaller scale than receiving a sermon. Jesus fed thousands at a time, but He healed one or perhaps a few at a time. Counseling offers a level of face-to-face attention and custom fit ministry which preaching does not and simply cannot provide. The difference does not result from any deficit in good preaching, but from the reality that our Lord has provided his Church with more than one ministry of the Word. Counseling is predominantly dialogue, whereas preaching is predominantly monologue. Preaching goes forth in monologue form with Scripture as the beginning place of ministry. Counseling begins with the audience and their particular struggle or concern, then moves to the Scriptures, back and forth, flowing in real time in the context of an ongoing human relationship and conversation. Counseling is for all mature believers, whereas preaching is for wisely appointed mature believers. The role of pastor-teacher is an appointed role in the body of Christ and involves “equipping the saints for the work of the service.” (Ephesians 4:11-12) The work of service (or counseling in this case) belongs to all saints, and a believer’s willingness to humbly counsel others should probably grow alongside their faith, understanding of Scripture, and Spirit-wrought sanctification. Learning to understand and deliver the gospel well, grasping its rich implications and applying its details to every aspect of human life and suffering, may be seen as our lifelong mission and a fundamental reason for our lingering presence on planet earth. We are all called to counsel. 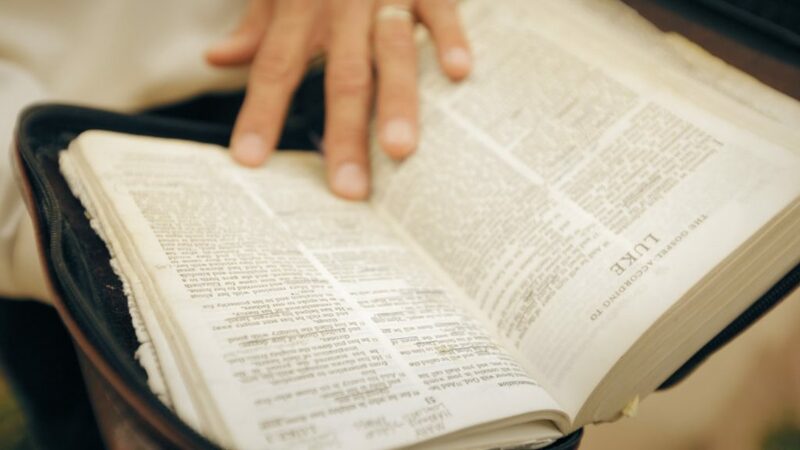 Interested in growing as a biblical counselor? The Association of Biblical Counselors exists to encourage, equip and enrich all believers everywhere to live and counsel the Word, applying the Gospel to the whole experience of life. Find out more about how you can become a member today!